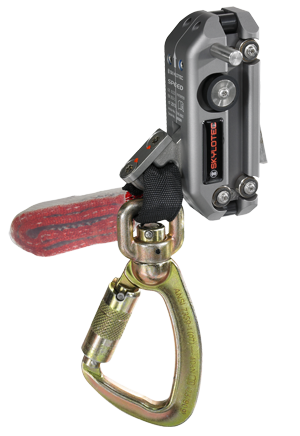 The new CLAW LINE enables the safe ascent or descent of ladders to reach the required height or depth. 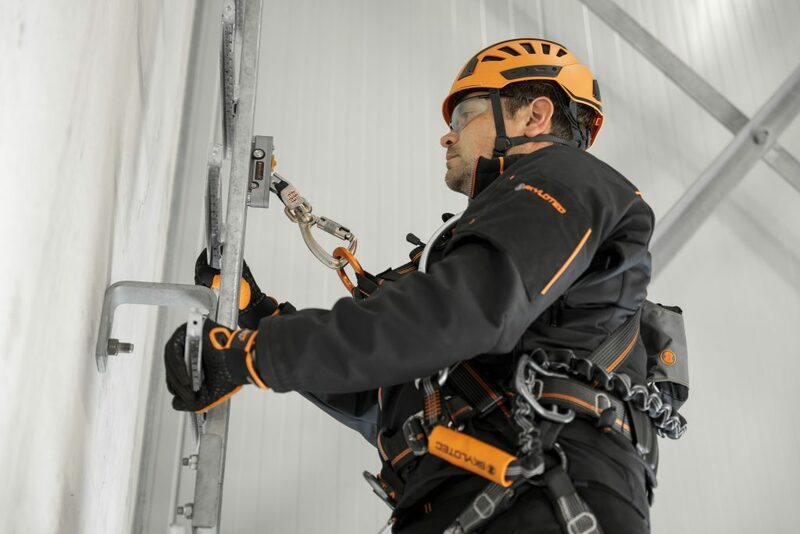 The EN 353-1:2014+A1:2017 certified cable fall-arrest system can be installed on the existing structures independently of the ladder or, where required, attached directly to the ladder. The 3 basic systems can be combined with one another flexibly as required. 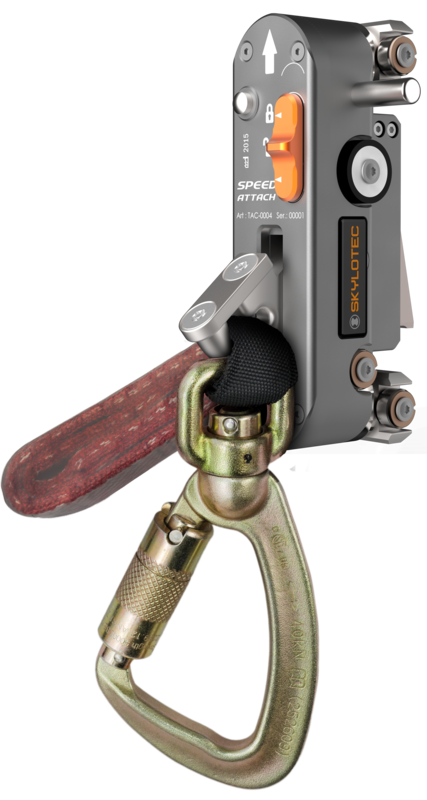 This means that the system offers the right solution to suit the specific circumstances and is EN certified for 8 mm and 3/8 inch stainless steel cables. 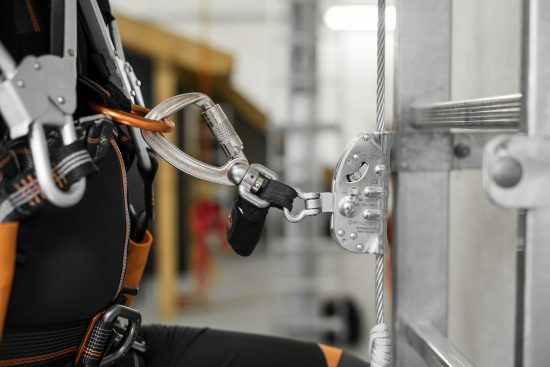 With our CLAW runner, users can climb easily and safely up and down the permanently installed system, without having to reattach themselves at intermediate structural anchors. Typical areas in which the CLAW LINE can be used include telecommunications, energy supply, wind turbines, high-bay storage, chimneys, water supplies and sewage disposal. All the upper and lower anchor points can be combined as required. This means that there are 9 different construction versions for each of 2 different cable diameters (8mm and 3/8 inch). More information you can find on the CLAW LINE Landingpage. 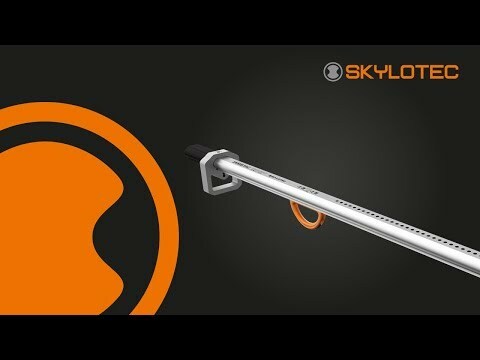 With the CLAW cable runner, SKYLOTEC provides a unique solution for permanently installed climbing protection systems, allowing employees to have safe access when working at heights or in lower-lying areas. The cable runner boasts features that enable simplified application and reduce the risk of an accident. The runner is secured directly in a number of ways to prevent incorrect use in error. The fall arrester cannot, for example, be attached to the cable if it is held the wrong way round by the user. An integrated locking mechanism prevents this from happening and a skull symbol also clearly indicates the application error. In order to prevent unintended or ill-considered removal the cable runner may only be removed from the cable if the user actively releases a locking mechanism, loosening the runner in the process. In addition, the brake shoe opens when the user slightly pulls the carabiner during climbing upwards or downwards. This enables a smooth and therefore fatigue-free working at heights or in lower-lying areas. If the climber slips or falls, the carabiner pivots downwards in a flash and the CLAW blocks immediately. The built-in shock absorber pack reduces the impact force, and thus the forces exerted on the human body, far below the 6 kN permitted. The cable runner is certified in accordance with EN 353-1:2014 as guided type fall arresters including a rigid anchor line. It secures a maximum of one person weighing from 50 kg to 150 kg. 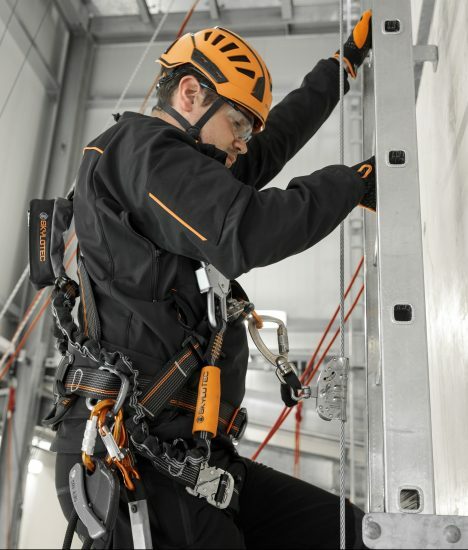 The SKYTAC climbing protection system is a follow-on fall arrest device on a fixed guide rail in accordance with EN 353-1. The system allows you to climb safely up or down to any height or depth on installed vertical ladders. The guide rail with a C profile is made from 3mm wide galvanized steel and the rungs have an extra zinc layer for better protection against corrosion. >> You can find the product selection here.